One of the biggest announcements out of CES 2019 is support for HomeKit coming to televisions. 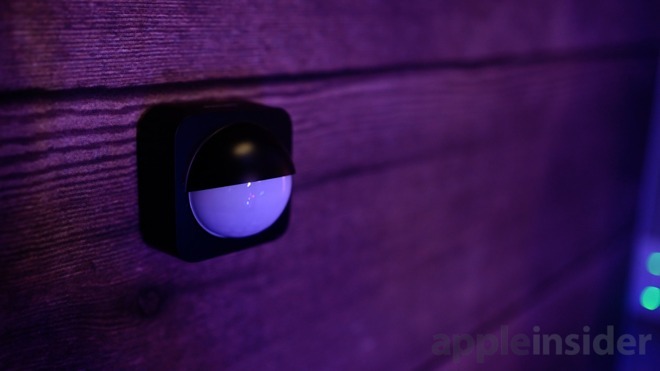 Three major brands announced imminent support with tons of new HomeKit controls. First up, is LG, which is bringing HomeKit and AirPlay 2 to its 2019 lineup, but has not committed to support for older models as of yet. 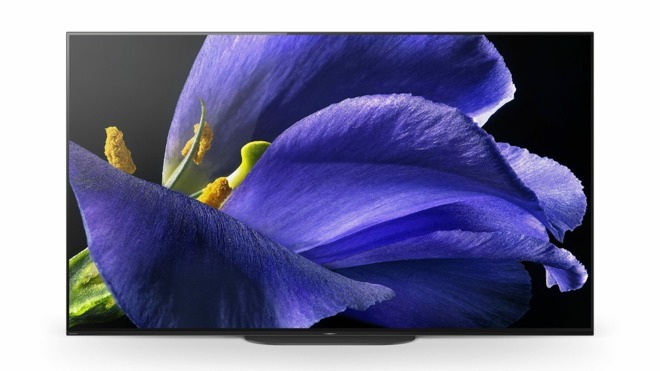 Sony at CES 2019 announced forthcoming AirPlay 2 and HomeKit integration for a handful of TVs, including the upcoming Z9G Series 8K LCDs and A9G Series 4K OLEDs, as well as the X950G 4K LCD unit. The move to integrate Apple protocols comes as a surprise for Sony, which uses Google's Android TV platform to power its smart TV offerings. Vizio is the last of the three to bring support for AirPlay 2 and HomeKit. The option will first arrive this quarter for U.S. and Canadian beta testers of Vizio's SmartCast 3.0 platform. It will go live for all SmartCast-equipped TVs in the second quarter as a free software update. Unlike others, Vizio will be bringing the platform to older TVs via a software update. 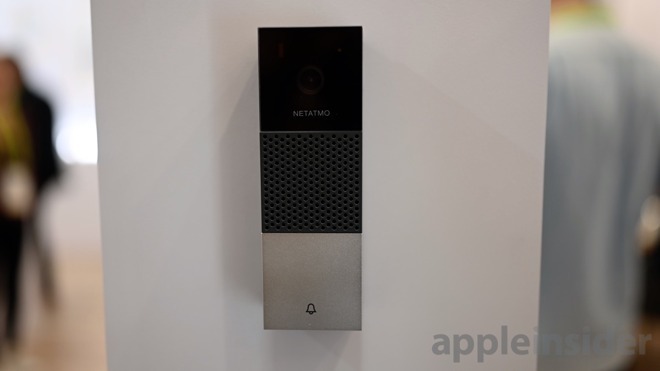 Netatmo has just launched a new HomeKit video doorbell, set to hit shelves in the second half of 2019. It has a super wide angle lens, a stylish design and AI-based people detection to cut down on errant alerts. Robin Telecom also announced a HomeKit doorbell, albeit with a higher price tag. This device is currently the only doorbell to gain MFi certification and shipping is ready to begin in the U.S. by the end of February. 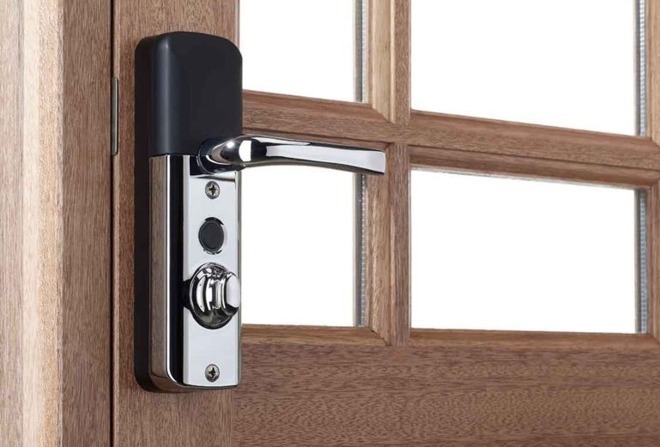 New smart locks are available including the Mighton Avia. 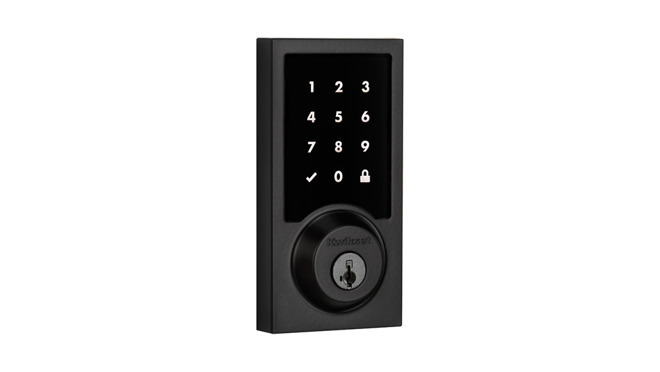 A new contemporary of the popular Premise smart lock has been released with a new design. 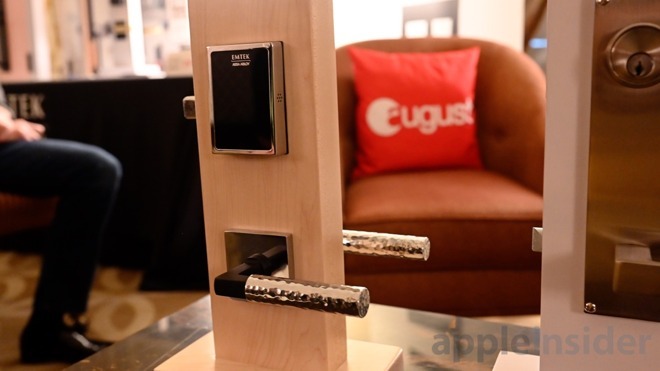 Yale debuted a new version of the Assure lock, this time using a lever mechanism. This is the worlds first HomeKit-enabled lever lock, bringing Apple's platform to closets, interior rooms and garages that need protecting. 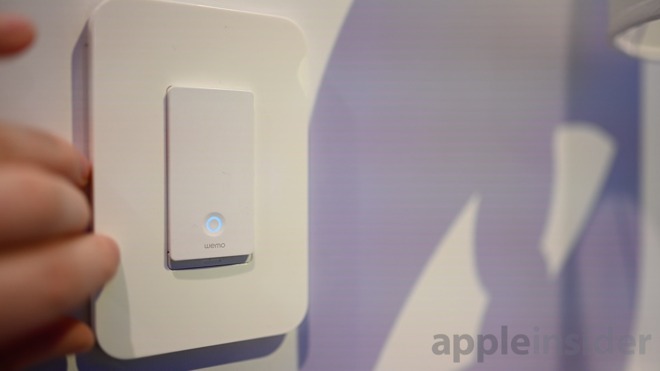 It has a swappable connectivity cartridge that allows for Zigbee, Z-Wave, basic HomeKit or HomeKit with the Connected by August platform. 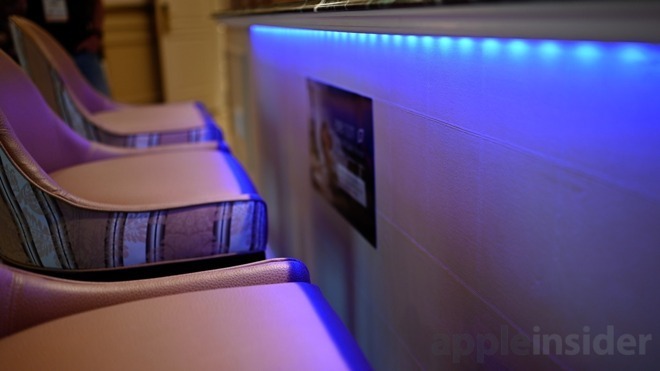 In tandem with its HomeKit announcements, the company said its Connected by August platform is coming to the luxury Emtek brand. 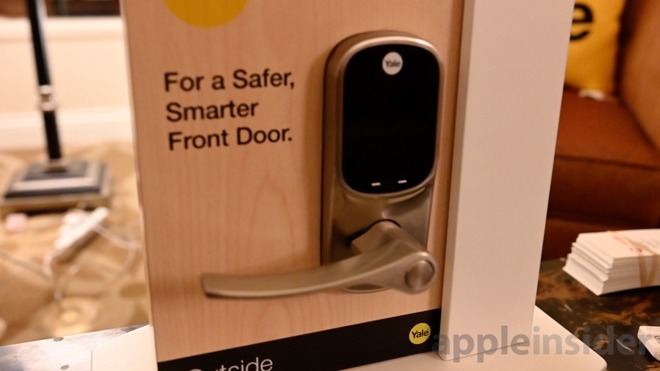 This, too, is a new market for HomeKit locks. They are completely customizable in several finishes and textures to match most high-end interiors. The diminutive TP-Link Kasa smart plug is finally getting long-promised HomeKit update very soon. Hopefully, HomeKit will expand to the rest of the Kasa platform as well. Eve Systems has released two new products this year, the first being the Eve Energy Strip. 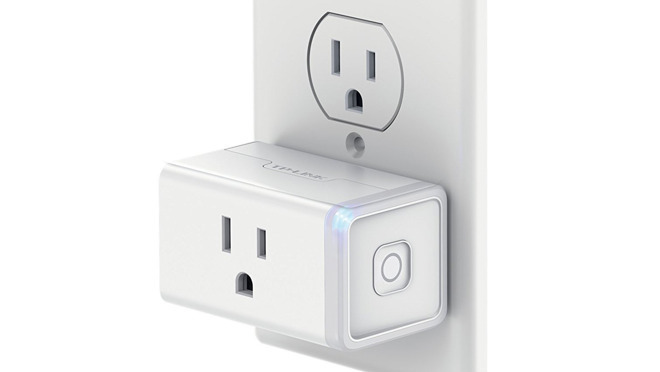 It is most similar to a three-outlet surge protector where each plug can be controlled individually through HomeKit. It measures energy consumption as well for whatever is plugged in. The second piece is the Eve Light Strip. It is very similar to others on the market but is exceptionally bright at 1,800 lumens. It can be extended or cut to fit a variety of locations. 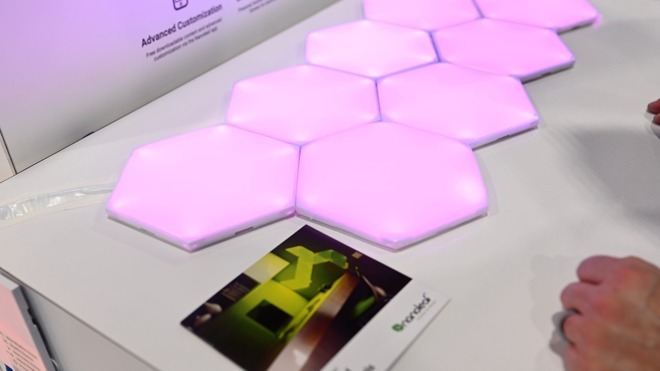 Nanoleaf is launching a new shape into their wall-mounted smart light lineup. The new hexagonal tiles join the square Canvas tiles and the original triangular option. They are expandable to cover large areas, multi-colored and touch sensitive. They should be released by the end of 2019. Fibaro has launched the Rainbow Controller which is similar to the above Eve Light Strip. Belkin's Wemo wall switch was updated to match the design of its dimmer, as well as with support for 3-way lights. HomeKit is integrated and does not require use of the Wemo bridge like earlier Wemo products. Hue is doubling down on outdoor lighting products with several sconces and lights with integrated LEDs. They also have outdoor white or color spotlights for functional or accent lighting that get extremely bright. 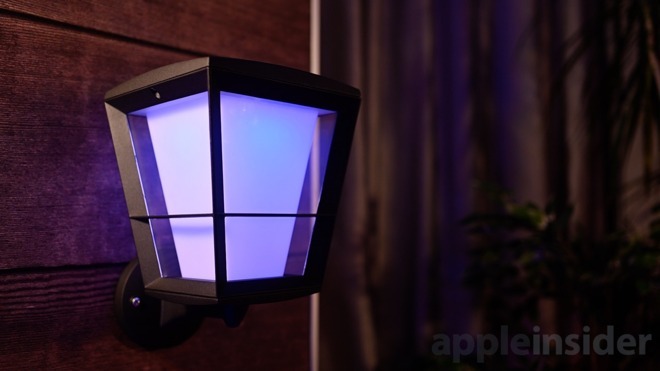 In a HomeKit first, we get a new outdoor motion sensor. This can trigger lights outside or inside, with the accessory enabling users a chance to help see or scare off intruders. Apple worked with Brilliant to integrate HomeKit into the Brilliant smart home wall controller. Using HomeKit, you can toggle lights on and off. Further HomeKit integration could be forthcoming as Brilliant works to include scenes and HomeKit devices on the touch screen, but there is no promise this will pan out. 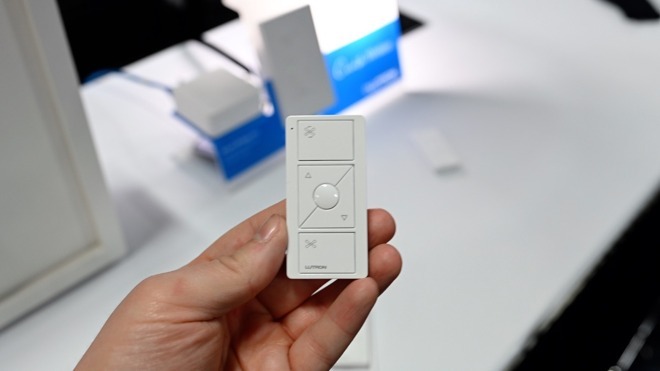 GE built on its smart home offerings at CES 2019, announcing a range of new C by GE products including HomeKit-enabled smart wall switches, white and full color LED bulbs and a smart wall plug. 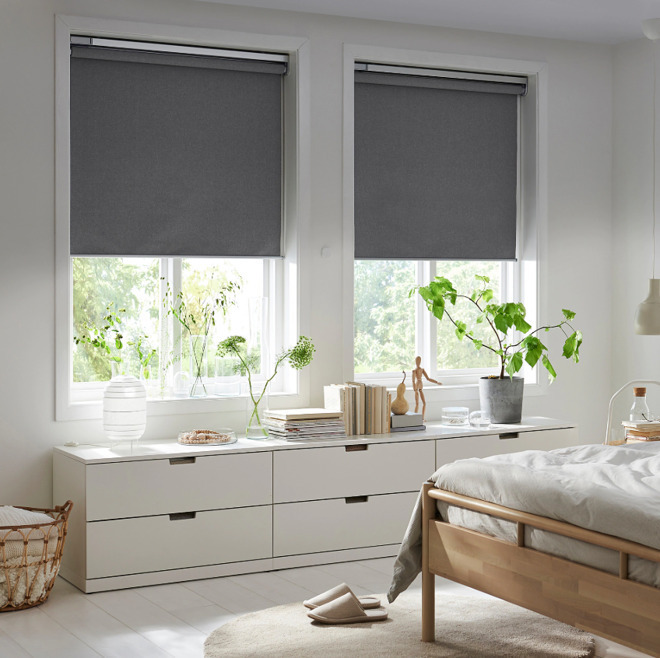 Swedish giant Ikea is beginning to roll out its first Smart Shades, compatible with Apple HomeKit and other smart home platforms when paired with the company's Tradfri hub. Moen is finally bringing HomeKit to the U by Moen smart shower system following an official announcement at CES 2018. Use Siri to turn the water on/off, switch sources from the shower head to hand wand, and set the temperature. 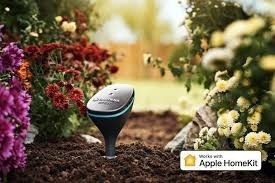 Gardena Smart System is adding HomeKit support to its existing products for the garden including its Smart Water Control, Smart Irrigation Control, Smart Sensor and Smart Power. First Alert announced a new version of its Safe & Sound, now integrating support for a mesh router. This is now a truly useful multi-device with an AirPlay 2 speaker, mesh router, Alexa device, a HomeKit CO alarm and HomeKit smoke detector. 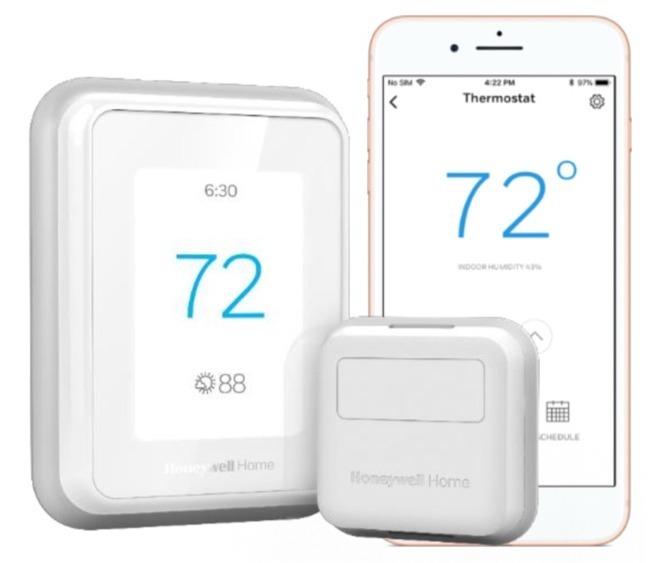 Honeywell company Resideo has shown off two new smart thermostats -- the T9 and T10 Pro. While both add quite a few new features for users of the controlling app, they lack HomeKit support -- at least for now. 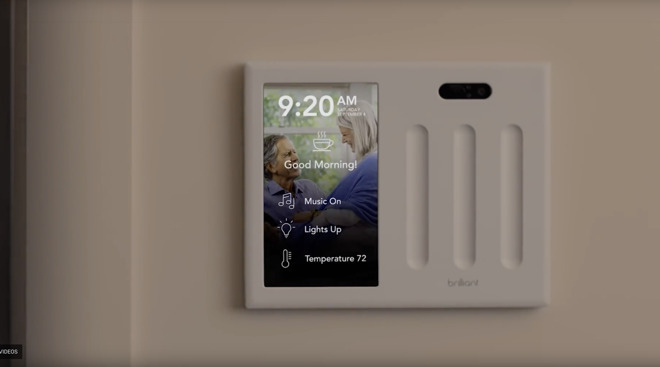 Honeywell pledges HomeKit will arrive by the end of the year. 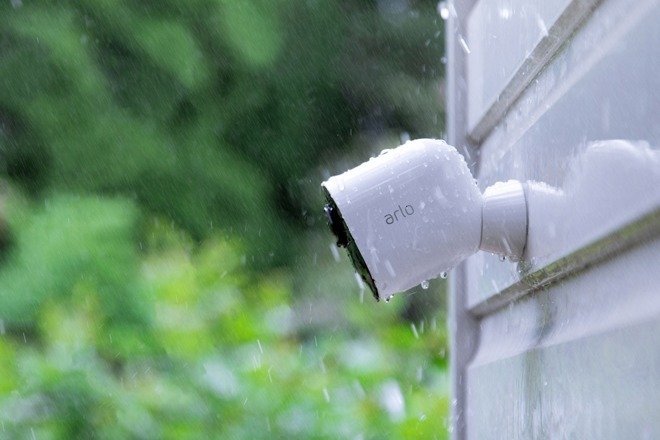 Arlo is finally bringing HomeKit support to its lineup of Arlo Pro 2 cams and the new Ultra 4K HDR wireless camera. The new Ultra 4K HDR is a beast with a 4K sensor, integrated light for color night mode, HDR video mode and more. After being shown on Koogeek's official website late last year, several new products are ready to start shipping. Koogeek has a new environmental monitor, a HomeKit camera and a HomeKit enabled fingerprint lock. 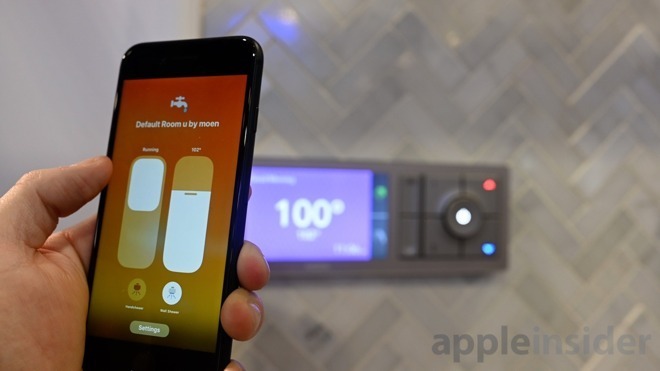 Lutron has a new smart home fan controller that won't have HomeKit at launch but should be updated in the future for Apple's smart home platform. Using it, you can control the on/off state and speed of a fan by replacing the in-wall switch. 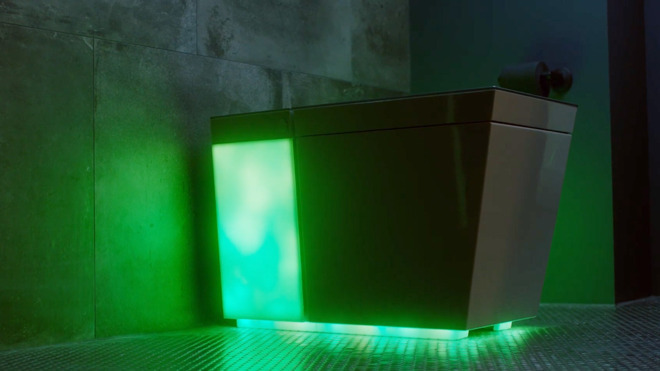 Owners can ask Siri to heat the toilet's seat and control its multi-color lighting, Kohler representatives told AppleInsider. The Numi 2.0 also features bidet and dryer functions and built-in speakers with Amazon's Alexa voice assistant. 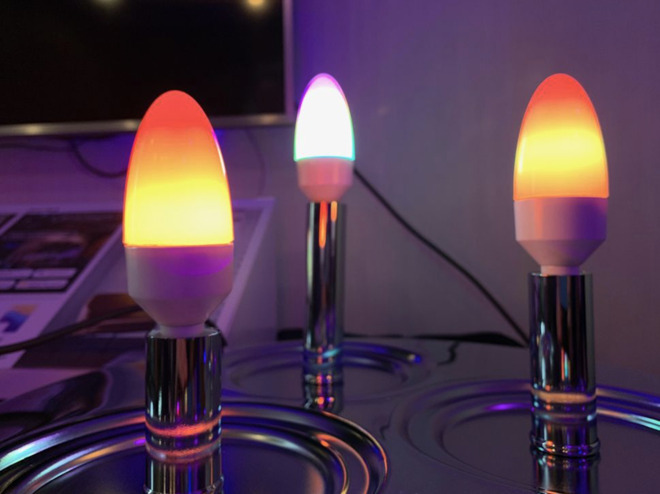 LifX has put forth a new line of HomeKit-enabled candelabra bulbs that are capable of displaying multiple colors at once. They join the expansive existing lineup from LifX that already supports HomeKit. 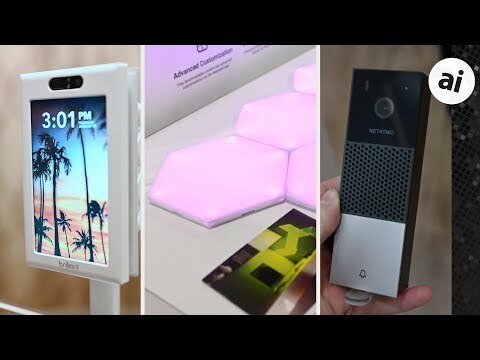 After releasing the Smart Outlet 2 in December 2018, ConnectSense is showing off an in-wall solution set to release later this year. Instead of having to plug in a bulky external box to the outlets, you can simply replace the outlet itself. 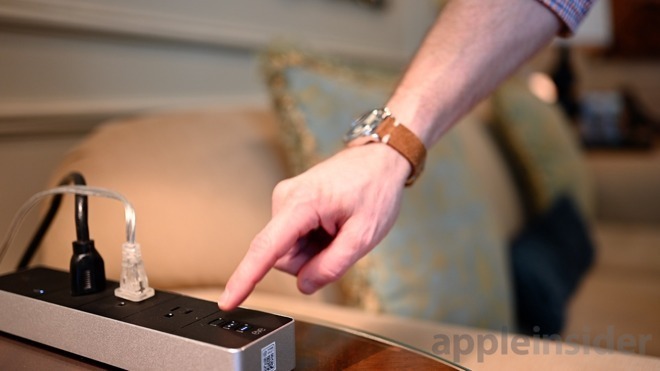 Touch-sensitive controls allow you to toggle the outlets via your finger instead of always relying on HomeKit. Judging from the wide adoption of AirPlay2 and HomeKit into top tier brands it seems that Apple has been directly involved in facilitating this. Further proof of this is the availability of Apple Music and Movies on new Samsung TVs. 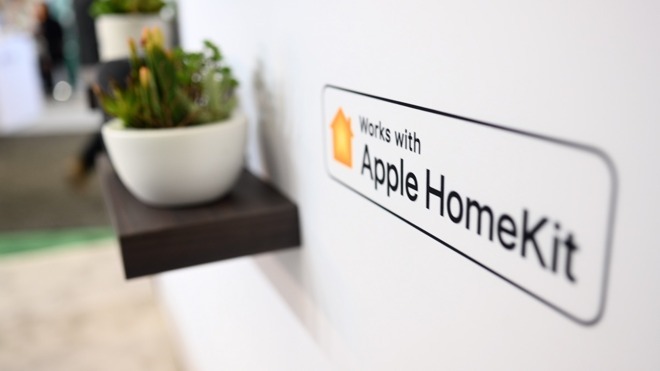 A miscalculation by Apple in the adoption of HomeKit was the technical abilities of second-tier electronics manufacturers. The roll out of HomeKit has shown us that there is an even wider gap between the technical capabilities of top tier electronics and second tier brands. It's good to see that Apple are holding the hands of the second tier brands to help establish a thriving marketplace of HomeKit devices. Great question! We asked this! Basically HomeKit requires the camera to be on all the time, which is a no-no for wireless cameras. To remedy, Arlo worked with Apple. The new Ultra 4K HDR requires a hub. This hub is what HomeKit connects to and wakes the camera when necessary. Probably holding out for HomeKit for Android so don’t hold your breath. The majority of this is junk. 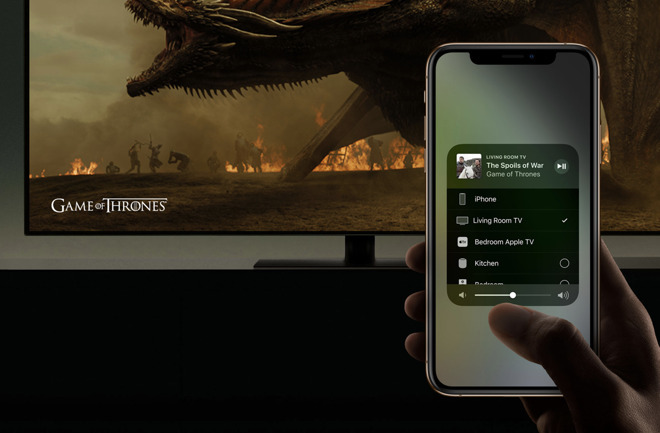 The best news is that Apple waved their wand to grant TV's to support AirPlay 2 and HomeKit directly. But that required nothing but Apple's say-so. These new products just fall completely flat, and appeal to bizarre niche uses. Where, after all this time, are the simple and powerful utilitarian HomeKit compatible devices???? I just don't get it. No one wants a giant wart sticking out of their power outlet, no matter what it does. Just give me outlets to install that work. Just give me light switches to install that work. There are some of these on the market, but not nearly enough. Instead the market is flooded with these things that look like first year attempts at smart devices.All these new smart locks, but not one of them matches the simplicity of the August product which they've had years to copy. A million different security cameras - not one that attempts to just work. They all compromise endlessly and barely work. Doorbells that don't even look like doorbells. What are these people thinking? good to see more devices for HomeKit. zWave has a big head start and even if it's easy to use with your iPhone, the fact that there were so few devices and they were generally more expensive made it a hard sell. I already have several z-wave devices in my house connected with Nexia. I can't say how it compares to HomeKit, but I can say that forking out several hundred dollars for new devices just so I can tell Siri to do something isn't in the cards. 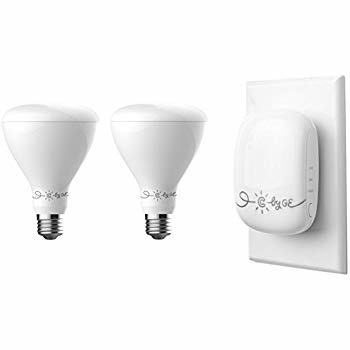 If they would come out with a reasonable HomeKit-Zwave bridge they would have a lot more interest. I can’t for the life of me find more information on the fibaro HomeKit compatible rainbow rgbw controller. This would be ideal to run through an amplifier for my outdoor rgbw pool lights. Edit 1- admin, can you detail more about this?? edit 2- found the press release detailing the ces2019 products but the rgbw rainbow controller got no link or much info. Admin, did they mention a release date? Thanks for that information. Now I'm entitled to a dumb question. There are at least 5 brands of HomeKit compatible bulbs that don't require hubs. Why do manufacturers choose to require hubs when hubs aren't required for HomeKit devices? I presume my HomePod or Apple TV can act as a hub. Why don't manufacturers take advantage of that?